It's rare for me to be working through my charts in the morning and to see everything pointing in the same direction. That's what I'm seeing this morning though and I'm leaning correspondingly bearish today. Altogether TLT, DX and CL are all pointing in one direction, which is down for equities. That should be respected. Unless we a conviction break over 1310.50 ES I'd sell any rips today. 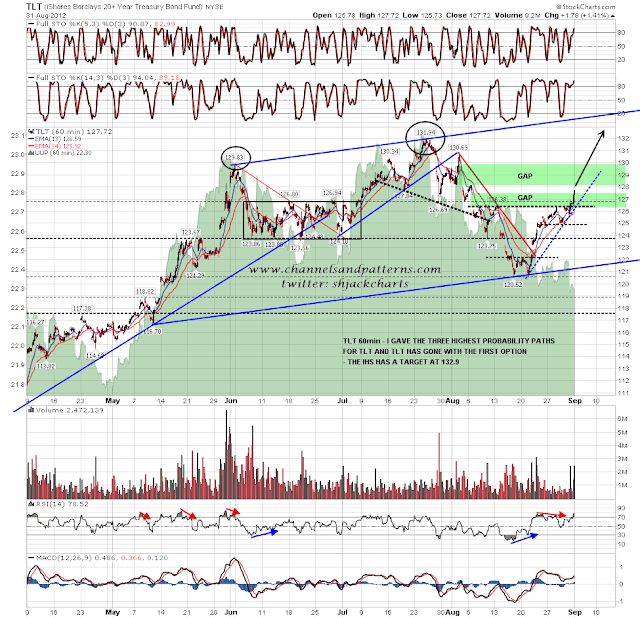 The break on TLT and the reversals on DX and CL may well be major reversals. 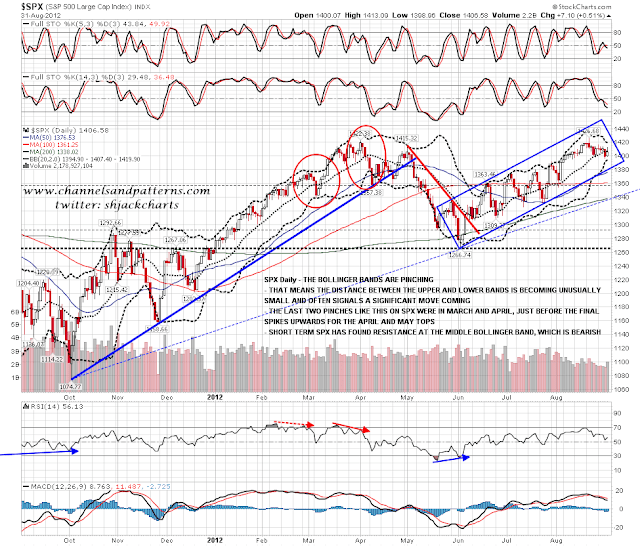 If so then that may well put equities under pressure for a while.